There are several ways to become visible on LinkedIn to prove your credibility, professionalism and whether you are trustworthy. Others are asking whether it is frankly worth them time to connect with you. You can opt for the passive approach and add social proof statements including Recommendations and Rich Media files on your profile. But like other social media platforms, you should be active and engaged for others (both your connections and outsiders) to take notice. The purpose is, of course, for you to enhance your relationships with existing connections and attract potential new connections to explore your profile. You want to stay top of mind. Think of it as a dating ritual. One way is to add updates to your home page. Remember, this is a business networking platform and updates should be business related and relevant to your customer base and prospective customers or clients. By adding a URL you will share the link. Or you can add an image or other file by clicking on the paper clip in the on the right side. Then decide who you wish to share the update with, the public and Twitter, the public or your connections. Your final step is to click the < Share > button. Once published you can take the additional step to share in groups you belong to as well as with individuals. 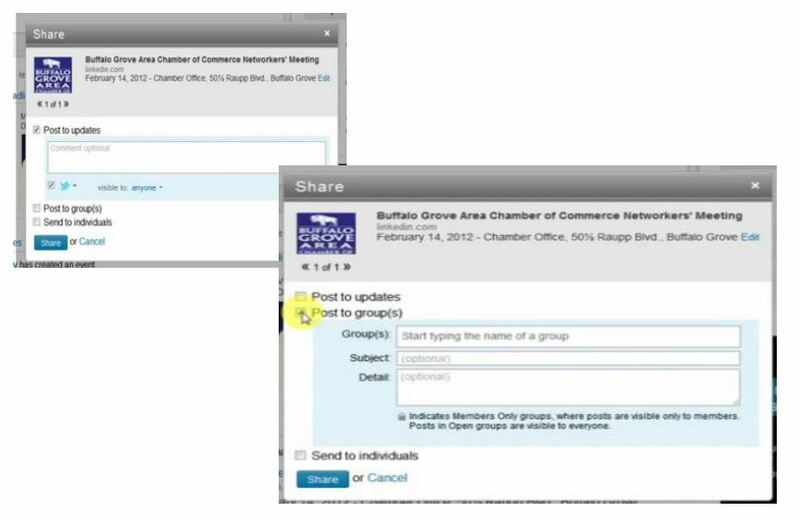 Start typing the in the group or individual’s names and click on who you wish to include in the share. Read about the importance of belonging to groups on my LinkedIn Groups page. By participating in group discussions you can also increase your visibility. (For the adventure some only.) On your Home page notice the new ‘pencil’ icon in the ‘Share an update’ box (shown below, not shown above) to the left of the ‘paper Clip’ icon.. 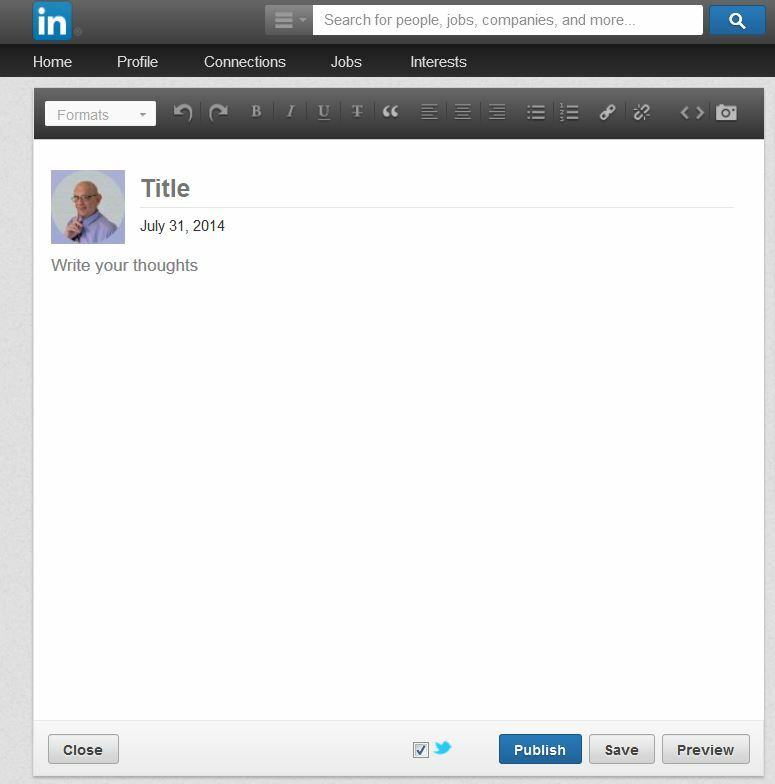 This opens up your LinkedIn Publisher section. Become an author and learn to publish. Some but not all tools as in a basic email program. You can also share as above. Read more in my LinkedIn Groups Discussion. 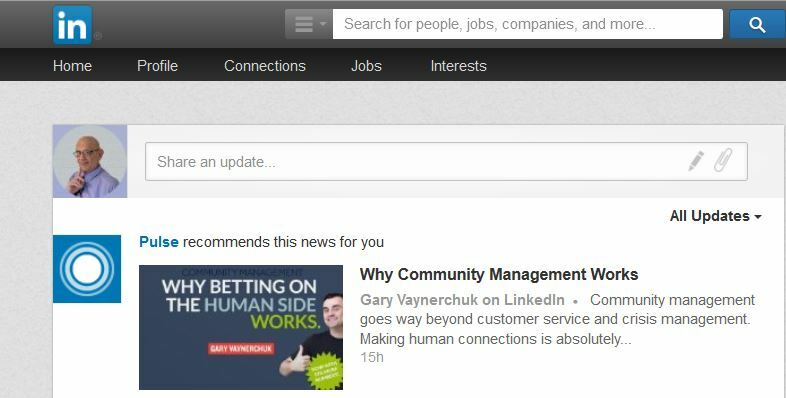 Read more on LinkedIn Company Pages.